Get immediate savings by purchasing a Springfield travel package. Just pick out your favorite options and Expedia will do the rest. If you secure a package deal on Expedia, you can save up to 40,450 YEN*. With more than 400 partner airlines and 321,000 worldwide properties for you to choose from on our extensive database, you'll be setting off on your vacation in no time! You can cancel or change almost any booking and you won't pay a cancellation fee to us. It can be enjoyable to just stroll around the streets in a new place, but sometimes it's a wise move to have a plan. Grab your travel itinerary — we have plenty of cool ideas for your impending Springfield vacation. History has many lessons to teach us. Soak up the knowledge and better acquaint yourself with times past at Abraham Lincoln Presidential Library and Museum. Adventurers in this destination are spoilt for choice. Our planet is full of many surprising plants, creatures and discoveries. A trip to Illinois State Museum will shine a light on the science of the natural world. Still got some time on your hands? Many weighty issues have been negotiated at Illinois State Capitol. Take it in from afar or close up on a guided tour. You don't have to stay in 5-star hotels or fly first class to have an incredible vacation. Just take advantage of all the fun things you can do while you're there! If you'd like to view a comprehensive list of activities, head to our Springfield things to do page. Seeking luxury getaways or cheap vacations? Springfield, the state capital of Illinois, has no less than 35 accommodations on offer via Expedia. Can't decide? We'll make it easy. If you like things such as fitness centers and indoor pools as well as comfortable beds, why not ask about the amenities at the Residence Inn by Marriott Springfield South (2915 Stanford Ave) and the Wyndham Springfield City Centre (700 E Adams St)? The airport is rarely the highlight of your adventure, but there's nothing like the excitement of knowing that your trip to Springfield is just a plane trip away! Once you take off your seatbelt at Abraham Lincoln Capital Airport (SPI), you'll be 3 miles (5 km) from the heart of town. Learn about one of the most revered presidents of the United States through museum artifacts and presidential papers. See ancient fossils, examine local Native American artworks and find out about Illinois’ rich heritage through natural history exhibits at this extensive museum. Stand on the site where Abraham Lincoln gave his famous Farewell Address and stepped on the train bound for Washington D.C. and his future as president. Come to this well-equipped facility to learn about Abraham Lincoln and to collect your ticket for one of the free tours that explore his carefully preserved home. Pay your respects at the final resting place of Abraham Lincoln and admire the magnificent monument that celebrates the life of the remarkable president. Located in Downtown Springfield, this hotel is within a 15-minute walk of Illinois State Capitol and Abraham Lincoln Presidential Library and Museum. Old State Capitol and Illinois State Museum are also within 10 minutes. Springfield Station is 6 minutes by foot. 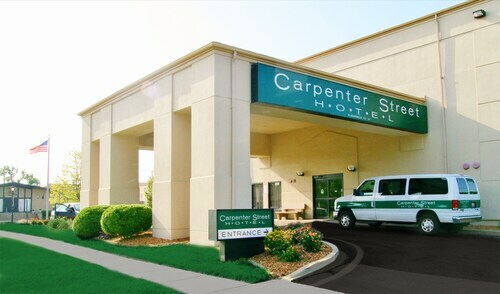 Located in Downtown Springfield, this hotel is within a 5-minute walk of Prairie Capitol Convention Center and Abraham Lincoln Presidential Library and Museum. Lincoln Home National Historic Site and Old State Capitol are also within 5 minutes. Springfield Station is 8 minutes by foot. Situated in Springfield, this hotel is 2.6 mi (4.2 km) from University of Illinois at Springfield and within 6 mi (10 km) of Abraham Lincoln Presidential Library and Museum and Henson Robinson Zoo. Lincoln Depot and Dana-Thomas House are also within 6 mi (10 km). 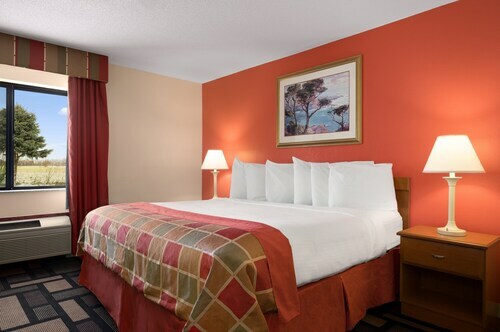 Situated in the historical district, this hotel is 2.2 mi (3.5 km) from University of Illinois at Springfield and within 6 mi (10 km) of Henson Robinson Zoo and Knights Action. Dana-Thomas House and Lincoln Home National Historic Site are also within 6 mi (10 km). 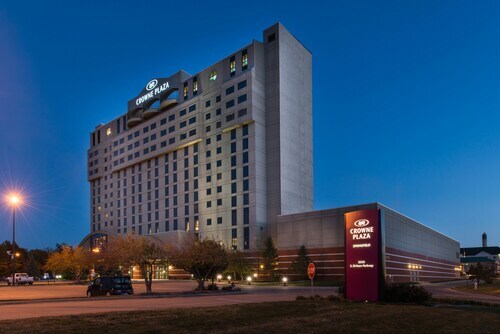 Located in the heart of Springfield, this hotel is 2.1 mi (3.4 km) from University of Illinois at Springfield and within 6 mi (10 km) of Abraham Lincoln Presidential Library and Museum and Knights Action. Lincoln Depot and Dana-Thomas House are also within 6 mi (10 km). Situated in Springfield, this motel is 2.2 mi (3.5 km) from University of Illinois at Springfield and within 6 mi (10 km) of Henson Robinson Zoo and Knights Action. Abraham Lincoln Presidential Library and Museum and Dana-Thomas House are also within 9 mi (15 km). Situated in Springfield, this hotel is 3 mi (4.9 km) from University of Illinois at Springfield and within 6 mi (10 km) of Abraham Lincoln Presidential Library and Museum and Lincoln Depot. Lincoln Home National Historic Site and Prairie Capitol Convention Center are also within 6 mi (10 km). 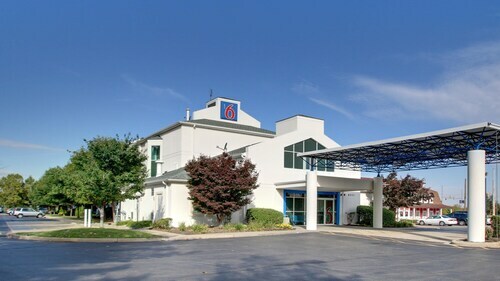 Located in the heart of Springfield, this hotel is within a 10-minute walk of Abraham Lincoln Presidential Library and Museum, St. John's Hospital, and Memorial Medical Center. Prairie Capitol Convention Center and Illinois State Capitol are also within 1 mi (2 km). Springfield Station is 10 minutes by foot.